Covering the Broomhill & Sharrow Vale, City, Hillsborough and Walkley wards. Several businesses in the Sharrow Vale area have recently signed up to the “We Deliver Local” website, which aims to help local independent businesses who are struggling to keep up with the convenience and choice of online supermarket shopping by offering an alternative convenient door-to-door delivery service, or ‘click and collect’ service. Smart phone users can also try out a We Deliver Local shopping app. Businesses pay a monthly subscription for inclusion in the service, which was nominated as an Observer newspaper ‘Ethical Business of the Year’ 2014. We recently published our draft Early Years Best Start Strategy for Sheffield and now we would like your thoughts and opinions on it. The draft strategy is available on the webpage below – where you can also learn about its aims and objectives, who has been involved so far, what our next steps are going to be and most importantly, why we welcome your feedback. Alternatively, please find attached a paper copy of the survey which you can print off, fill in and return freepost. 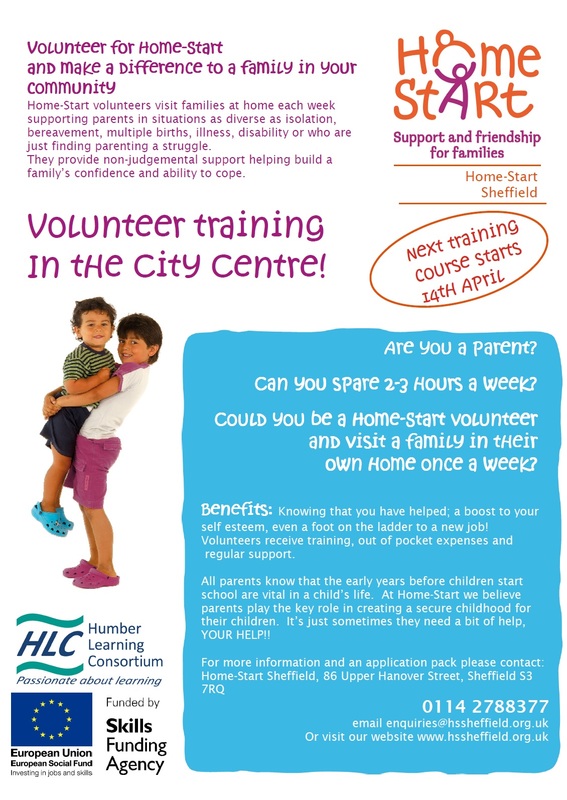 We also welcome your comments, suggestions or questions which you can email to parentalengagementteam@sheffield.gov.uk. As we are eager to hear from as many professionals as possible, we would really appreciate you sending this blog onto your contacts and sharing as you see fit. Please note: the deadline for giving your views on the draft strategy is Friday 17 April 2015. Streets Ahead is a huge city-wide highways maintenance project that will upgrade the condition of our city’s roads, pavements, street lights, bridges and other items on or around our streets (what we call street scene). The majority of the work will take place in the first 5 years (2012 – 2017) of a 25 year contract where we will be upgrading two thirds of the city’s roads. Areas and schedules, come along to a roadshow. Map of works in the city. Find out what’s included in the work. About the upgrade works and how we’ll minimise travel disruption. Health Education Yorkshire and the Humber is using apprenticeships as a main stream approach to developing the skills of it’s support staff workforce. NHS organisations are using apprenticeships to attract new recruits, for NHS staff to develop their skills and take on new roles, and as a progression pathway from employability programmes. Many different types of apprenticeships are offered. 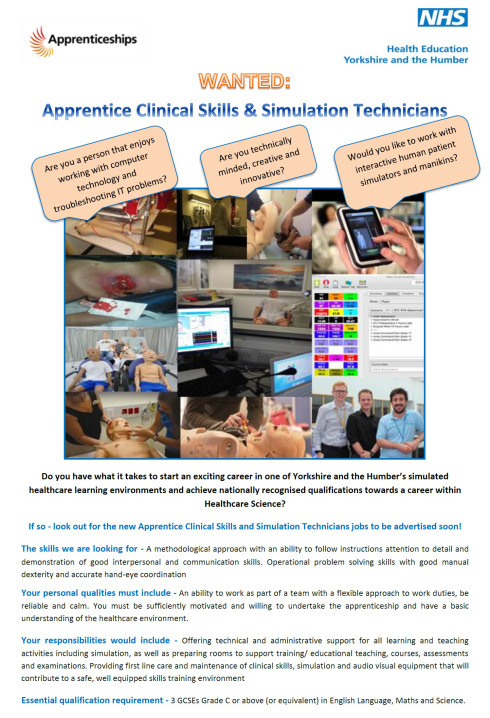 As well as apprenticeships in clinical roles such as Healthcare Support , Pharmacy, Ambulance Service and Dental Nursing, half of the apprenticeship jobs are in non clinical roles which range from clerical functions to those working in estates e.g gardeners, maintenance staff and engineers. With over 80 different apprenticeships available in the Health Sector the range of NHS opportunities on offer across Yorkshire and the Humber continues to grow, and NHS trusts are reporting the positive impact that apprentices are having on patients and NHS services.